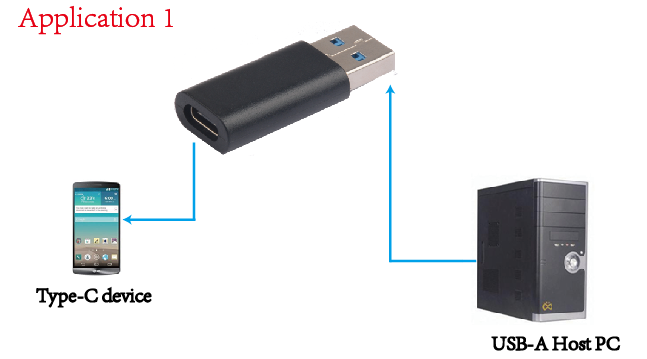 This is a USB 3.0 to Type-C Adapter, which allows you to connect your host PC with USB-A port to devices (such as U disk, mobile phone) with Type-C port for downstream data and power. 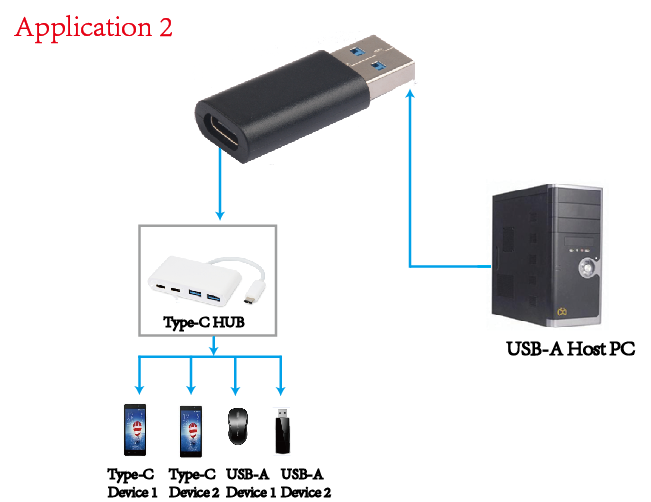 Besides, you can also connect a Type-C to USB hub to your USB-A host PC through this product for downstream data and power transmission. [Universal Compatibility]Support connections to your USB Type-A laptops or chargers with USB type-c cable, usb type-c hubs and usb type-c peripherals. Compatible with iphone8/iphoneX fast charge cable(usb-c to lightning cable), Google Pixel 2 XL cable(usb c to usb type c cable) USB Type-A 2.0 / 3.0 interface devices, including the normal chargers, previous MacBooks and most laptops on the market. [Easy to Use]- Simply plug and work, no installation needed. [Fast and Quick]- With USB-A male to USB C female adapter, you can sync, charge and transfer data from your usb-a devices by using a USB C cable. This enables you to connect phones, tablets, flash drives, mouse, hubs and other usbc peripherals to your laptops and chargers with normal usb. One-side usb c 3.0 protocol for high speed data transfer up to 5 Gbps. [Safe and Reliable]- Built-in 56KΩ resistor in this USB C adapter ensures charging and data transferring safe and long lasting.